ATLANTA -- In 2012, Dietmar Exler spent a week at Mercedes-Benz of Baton Rouge in Louisiana. It opened his eyes. Now Exler, the new CEO of Mercedes-Benz USA, wants all top managers at the brand's U.S. sales arm to experience life in a dealership, too. Through summer and autumn, Exler's roughly 35 senior managers will spend five-day stints in dealerships around the country. The aim: By immersing themselves in day-to-day dealership operations, the factory execs will see how the decisions they make in the home office play out on retailing's front lines. Exler, 48, wants his lieutenants to embed themselves in every department in the store -- say by helping to sell a car or write up a service ticket -- and thereby figure out how to make the job simpler for dealership employees. He's betting that ultimately the resulting changes will lead to better customer experiences, more loyalty and higher sales for the brand. New boss Exler: "The better we understand, the better for us." "Dealers are our franchisees, our partners and our customers. The better we understand, the better for us," said Exler, who became the brand's U.S. chief in January. "The real win to me is, if people come back four or six months later and they're looking at a new process, redesigning something, changing something, whatever, they ask themselves, 'How does it affect selling cars? How does it affect the processes in the dealership?' "
Dealers are looking for streamlined programs to come out of the visits. "If a manufacturer is willing to invest the time and the resources to send their people in the field so they can understand the practical implication of their policies and procedures, it has to be a positive," said Ken Schnitzer, chairman of the Mercedes-Benz Dealer Board and owner of four Mercedes-Benz dealerships in Texas. "We're cautiously optimistic that will lead to some really positive changes in the way we do business in the future." Schnitzer hosted Adam Chamberlain, the brand's vice president of sales, at his Dallas store in May. Only a handful of executives have completed immersion visits so far, but the program already is reaping results. Drew Slaven, vice president of marketing and a 14-year veteran of Mercedes-Benz USA, visited a Chicago-area store last month and left with a host of improvements to make. "I came away saying, 'Yikes, there's just too much being asked of these guys in too many different ways,' " Slaven said. "There's a lot of air that can be taken out of this." Slaven's week at Loeber Motors validated the importance of one revision already in motion. 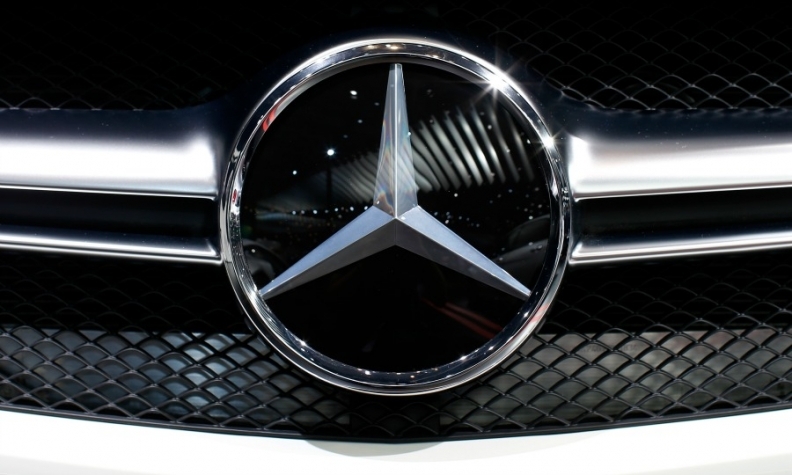 Mercedes-Benz USA is changing how factory-provided marketing money can be used by dealers. It previously had to be spent to promote new-car sales. Now, dealers will be allowed to use the money at their discretion. "If they want to push service as a message, push service. If they want to push preowned, then they can push preowned," Slaven said. "Dealers are pretty smart businesspeople. They know what's going to bring people into their store. Why would I restrict them to only spend funding on new-car marketing if, in fact, pre-owned marketing is a better traffic generator?" More changes are on the way. Slaven has confirmed with his peers and Exler that no policy going forward will be issued from any technical department -- marketing or sales or aftersales or finance -- without the new dictate being vetted across the executive team. The idea is to prevent too many changes at once or inadvertent side effects from a new initiative. Mercedes-Benz USA also will trim its written dealer policies and programs, Slaven said. Those could have been typed on two sheets of paper in 2008. Today, they fill 34 sheets. New items have been added since 2008, but nothing was taken away, he said. The policies and programs will be reissued in the coming months, and Slaven has asked his team to reduce them to roughly two pages. "It's going to be a lot leaner, a lot easier to understand, with a lot less bureaucracy to it," he said. That's the kind of change Exler and dealers want. "All these processes were put in place with good intention," said Mike Loeber, president of Loeber Motors. But each adds complexity that makes it harder for dealers to spend time with employees and customers, he said, and that can hurt the business. He praised Exler for launching the immersion program and noted that it's being left to the hosting dealer to guide the visit. There was no predetermined agenda from headquarters and regional staff stayed away. "Drew was very open: We had to tell him a couple times, 'Sometimes your baby is ugly,' and, 'This thing doesn't really work,' " Loeber said. "With Dietmar and his openness and his commitment to simplifying things, we can be more effective with some of these procedures if they're just simplified, and we see it happening already." Simplification has been the hallmark of Exler's first six months as U.S. brand chief. He has spoken of his commitment to it repeatedly -- though he is clear that he won't reduce standards. He told dealers in May that he would look for ways to streamline training programs and reduce travel and time out of the store for dealership leaders. Dealers have praised his efforts so far. They already knew him well. 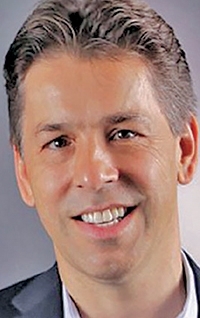 Exler, a native of Austria, was Mercedes-Benz USA's vice president of sales for two years before being promoted to the top U.S. job after Steve Cannon left the company in December. He ran the brand's captive finance arm in the U.S. for four years before that. For the immersion visits, Exler wants his managers to visit stores with outspoken dealer principals or department heads. Managers get no say in where they're going. Because Exler wants them to unplug from the home office, no one is allowed to visit a dealership in Atlanta where Mercedes-Benz USA is headquartered. Throughout the summer and autumn, Exler's team of leaders will hold three debriefings to share what they've learned and brainstorm on changes they think are needed. For many of the managers, it will be their first substantial experience at a dealership. Exler himself hadn't spent any time at length in a dealership before his stint at Mercedes-Benz of Baton Rouge. He was running Mercedes-Benz Financial Services USA at the time and wanted to know more about the typical day of a dealer. On that visit, Exler recalls being "joined at the hip" to the dealer principal and then-general manager, Joe Agresti. When an employee alerted Agresti to an information technology problem, Agresti asked Exler if he wanted to call the IT department to clear it up. "I fell for it. I said, 'Sure, what's the number?' " Exler recalled. "He gave me the number, and I dialed and Joe's cellphone rang. The GM was the head of the IT department, the head of HR department." It was a major departure from the corporate office, where someone from a large IT department swoops in to fix a problem. It's that kind of eye-opening experience Exler is seeking for his managers. Today, Exler calls Agresti one of his best friends, and the CEO still contacts the dealer and his employees to check on how some change under consideration might play out in dealerships. Exler wants his managers to forge those kinds of relationships during their immersion visits.